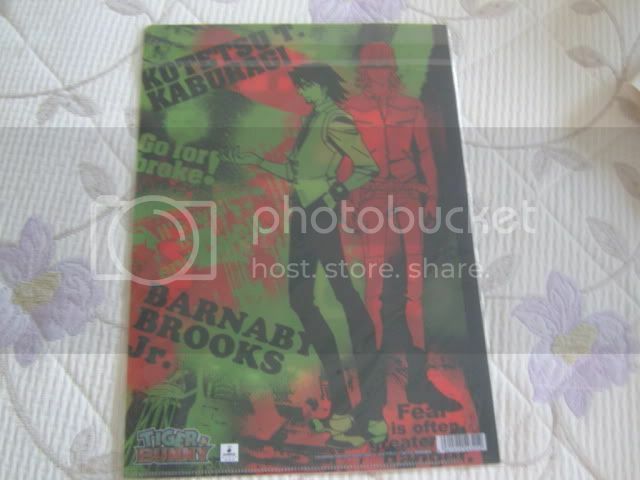 Tiger and Bunny Clearfile - Tiger and Bunny Merchandise Review Comm! Around 31×22㎝, they can easily fit an A4 sheet of paper in them. While the first clearfile had the design from the wall scroll and Mini clearfiles on them, this one has a slightly varied pose with a different art style. On the other side are scenes from the first half of season one's opening sequence atop silhouettes of Wild Tiger and Barnaby's suit modes.